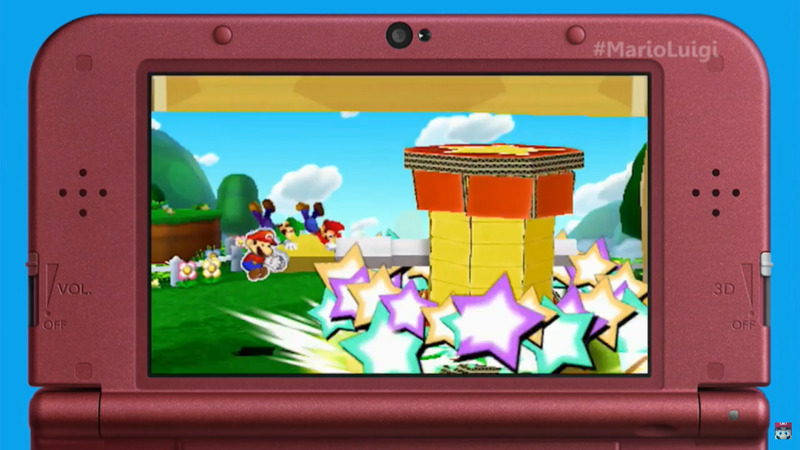 Mario & Luigi: Paper Jam will unite the worlds of Mario & Luigi and Paper Mario in a new RPG. Super Mario is great, but one of the more interesting Mario entries from Nintendo have always been the RPGs. From the original Super Mario RPG, to the current Paper Mario and Mario & Luigi titles, these games recreate the Mushroom Kingdom using new mechanics and a subtle sense of humor. But apparently these games take place in parallel Mario worlds - or at least that's the implication from Mario & Luigi: Paper Jam. 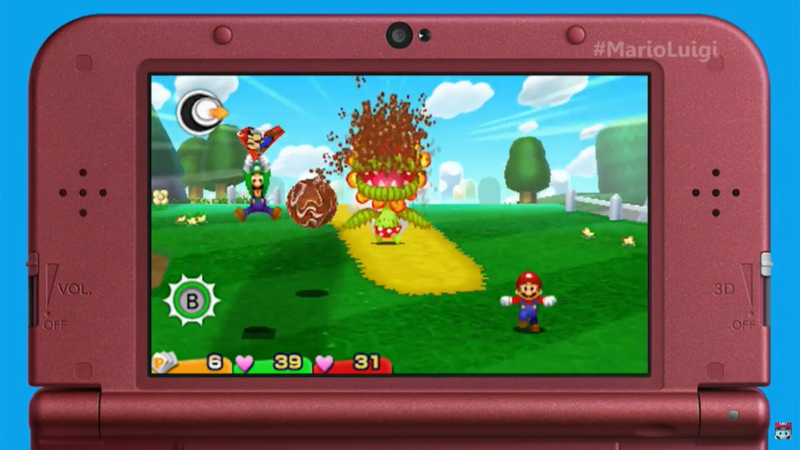 This game will introduce the first team-up between Mario, Luigi, and Paper Mario as they use their unique abilities to save the Mushroom Kingdom from a new unrevealed threat. 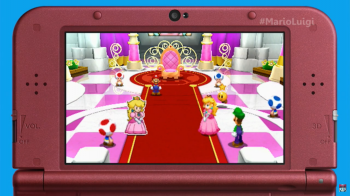 While the story isn't clear from Nintendo's E3 video, personalities from the Paper Mario universe are clearly moving into a world of 3D characters - including Paper Mario and Paper Peach. 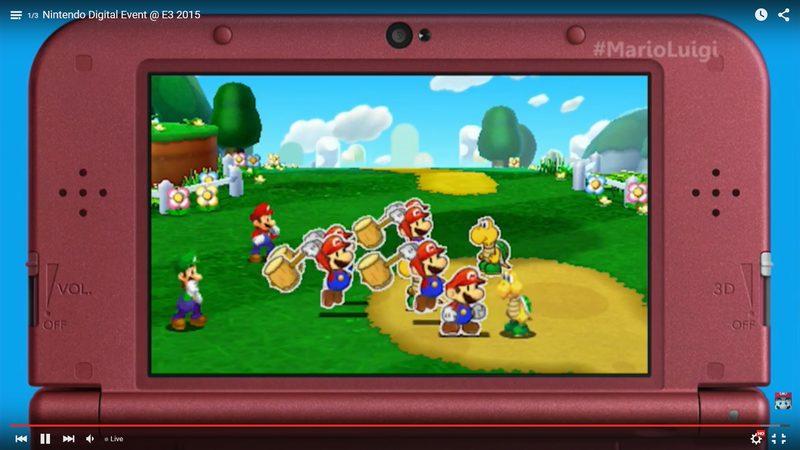 This prompts Mario & Luigi to team up with Paper Mario, using a combination of turn-based RPG combat and quick-time puzzles to solve challenges. Along the way you'll also meet unique mechanics, including a giant Papercraft Mario vehicle that you can pilot across the map. Mario & Luigi: Paper Jam is a little bizarre to wrap one's head around at first, but could be just as fun as previous game entries. Paper Jam arrives in our universe sometime in 2016.